At Austin Locksmiths, we offer professional transponder key programming as part of our complete locksmith service in Austin, TX and surrounding areas. We are a 24/7 locksmith service and each of our locksmiths are mobile and have over five years of experience. Our automotive locksmiths service applies to both foreign and domestic cars and trucks, and we offer upfront pricing on our residential, commercial, auto, and emergency locksmith services. We have skilled technicians, competitive pricing, and honest service. Most of the new cars on today’s market require transponder keys in order to start. 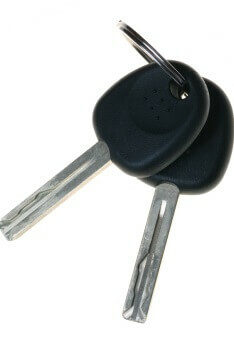 A transponder key is a key with a code transmitter embedded that sends a unique alpha-numeric code to your ignition. The transponder key is part of your car’s anti-theft system and has two parts: a transmitter and a responder. The vehicle’s computer must receive the proper response from the transponder key or the computer will not allow the vehicle to operate. Replacing a transponder key is not as simple as having a new key cut, as with a flat metal key. Transponder key programming requires a highly skilled technician who has the proper tools. This process should be performed by a professional in order to guarantee proper functioning of the key and starting of your vehicle. 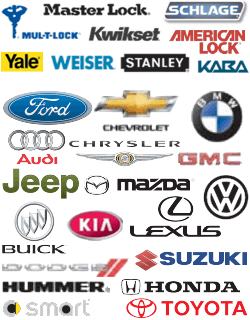 Our technicians know how to program car keys so that they will work for your vehicle. We are an established local locksmith in Austin and transponder key programming is just one of our many auto locksmith services. Our technicians are trained to perform programming of transponder keys for any car make or model, foreign or domestic. Proximity keys are keys that when you are in close proximity to your car will open your doors and start your car’s motor when certain buttons on the key fob are pressed. Our company offers copying and duplicating services for proximity keys. Our expert technicians are all licensed, bonded, and insured. Our technicians are knowledgeable, punctual, and professional. Quality service means a quick response time. Our mobile technicians offer fast and friendly service with a 30 minute or less response time. Our highly skilled technicians have the tools and expertise to handle all of your locksmith issues. We emphasize customer service and client satisfaction. We take pride in our work and fast response to your locksmith needs. Our staff and skilled technicians are experienced in handling all of your locksmith issues, residential, commercial, automotive, and more, and we have 5+ years of experience in doing so. Our office staff is courteous and friendly. Our automotive technicians will respond quickly to your call, and they are licensed, bonded, and insured. You can count on us to be there for you 24 hours a day, 7 days a week. You will not be disappointed in our work. If you need transponder car key replacement, Austin Locksmiths is a 24x7 locksmith service which services Austin, TX and the surrounding areas. We deliver locksmith service for any need you might have, be it automotive, commercial, or residential locksmith services. Our services are offered 24 hours a day, 7 days a week. Our knowledgeable, mobile locksmiths offer transponder key programming, proximity key duplication, and upfront pricing not only for these two services but for our complete locksmith service repertoire. Quality service means a quick response time. Our skilled technicians will arrive in 30 minutes or less. Our staff and mobile technicians are honest, dependable, punctual, and professional, and our services are fast and affordable. Our friendly office staff awaits your call. Contact us today! Transponder Keys Austin https://austinlocksmiths.com/transponder-keys/ 3.9/5 based upon 19 reviews.